Fifteen years ago, on January 17, 1998, the Global March movement started with an 80,000 km physical march when thousands of people marched together to put forth the message against child labour and slavery. Joined by trade unions, teachers’ organisations, child rights organisations and children, the march crossed 103 countries, building immense awareness for ending child labour. Back then, in 1998, the state of child protection from exploitation, trafficking and slavery was rather different from what we see today. Child labour itself was not acknowledged, either in social or political domains, and was considered acceptable and a norm for children from poor and vulnerable backgrounds. Further, despite the pervasiveness of child labour across the globe, with more than 250 million child labourers, there was no singular international legislation for tackling its worst forms, coupled with a lack of a collective campaign to push for its elimination. 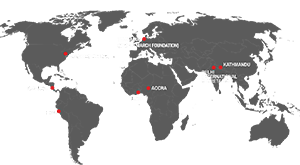 But Global March, which started with a small group of motivated partners and was later joined by many more during the course of the last 15 years, helped to bring about significant changes. The physical global march of 1998 led to a renewed worldwide campaign to end child labour which facilitated the formulation and adoption by the International Labour Organization (ILO) in 1999 of ILO Convention No. 182 on elimination of the Worst Forms of Child Labourto supplement ILO Convention No. 138 on minimum age for admission to employment. Convention 182 has been the fastest ratified ILO Convention with 177 country ratifications. Convention 138 has leapt from fewer than 50 ratifications in the 1990s to 165 today. There has been a remarkable progress in the fight against child labour during the last 15 years. New laws, policies and programmes have been launched with a high level of engagement of society, state and business. But this is not enough. 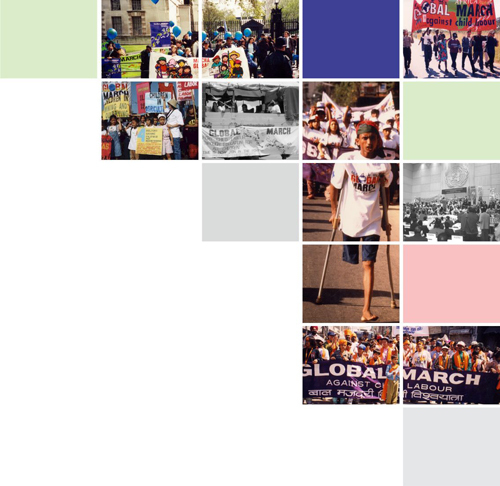 Global March is committed to making child labour history. Therefore, we call for reinvigorated action, political will, corporate accountability and renewed efforts for education,” remarked Kailash Satyarthi, Chairperson, Global March Against Child Labour. Earlier there was a lack of policy coherence and understanding of inter-linkages of child labour with poverty, lack of decent work and education. But over the years, there has been a paradigm shift in the approach towards child labour and it has been recognized as a socio-economic issue with linkages to other development issues. In 2005, the Global Task Force on Child Labour and Education was established with Global March as one of the founding members along with Education International, ILO, UNICEF, UNESCO and the World Bank, to work on the inter-linkages between child labour abolition and education for all. With such efforts, child labour has now come to be recognised as an obstacle for the achievement of the Education for All goals, Universal Primary Education and other Millennium Development Goals. “Education International and its member organisations are committed supporters of the international struggle against child labour. Since the foundation of the Global March Against Child Labour 15 years ago, teachers and their organizations have been at the core of the Education For All and child labour elimination initiatives and will continue to be committed to this cause,” said Susan Hopgood, President, Education International. Fifteen years ago, child domestic labour was a non-issue, with thousands of child domestic labourers, especially girls, working in hazardous conditions akin to slavery across the world, without recognition of their plight, exploitation and loss of childhood. But a remarkable victory has been seen on this front as well with the recognition child domestic labour is a form of child labour and that manychild domestic labourers are trapped in an invisible form of slavery. ILO Convention No. 189 on “Decent Work for Domestic Workers”, adopted in 2011, recognises child domestic labour. Global March supported the campaign for the adoption of ILO Convention No. 189, highlighted the issue through World Day Against Child Labour observations in 2002 and 2011, and it will also focus on it in 2013. While trafficking of children for commercial sexual exploitation was well recognised, trafficking of children for forcedlabour did not find a place in the policy discourse. As a result of consistent and persistent policy advocacy dialogues and engagement with partners and sustained mass awareness campaigns, trafficking of children is now also being understood as a type of forced labour and modern-day slavery.Be it the Children World Congresses, the Marches Against Child Trafficking, or regional and national consultations, trafficking of children for forced labour has been highlighted by the Global March and its partners. As regards child labour in agriculture, it was seen as a traditional activity and invisible as most of the work childrendid was consideredas “helping out” on family farms. But, now the hazardous work of 129 million children in agriculture is being recognised and is receiving long-due attention from policy makers, international development organisations, etc. To put this neglected issue of work by children in agricultural and rural settings on the global policy agenda, Global March facilitated development of a common agenda and action on child labour in agriculture, through the International Conference on Child Labour in Agriculture, organised in 2012. Child Labor Coalition, said: "The Global March has made significant progress in bringing awareness of child labor issues world-wide in the past fifteen years, and even though there has been progress in the United States, more work needs to be done. Domestically in the U.S., occupational death rates for teen workers have fallen in half over the last 15 years. We were losing about 70 a year 15 years ago and now we are under 30. That said, challenges remain: the Obama administration’s disappointing withdrawal of the occupational safety rules, leading Republican politicians questioning long-standing child labor rules, weakening of state rules and enforcement in several states, and the failure of Congress to advance the Children’s Act for Responsible Employment which would end exemptions that allow children working in agriculture to receive fewer protections thank children working in other sectors. Addressing these issues remains an important priority for the Global March and its American member, the Child Labor Coalition."